How it works: Every guest gets a guided chance to throw a pot on the pottery wheel. (Throwing a pot is the term potters use when creating on the wheel). We have four wheels on hand and each person gets on the wheel individually. Normally, guests can make a plate, bowl or mug. After the class, we wrap all your pieces and label them with your choice of pre-selected colors. All materials are non-toxic and the paint washes out of clothes. The pots will be unfinished white pottery. and our staff will paint them for you. Kids/Adults: Wheel Throwing 101. 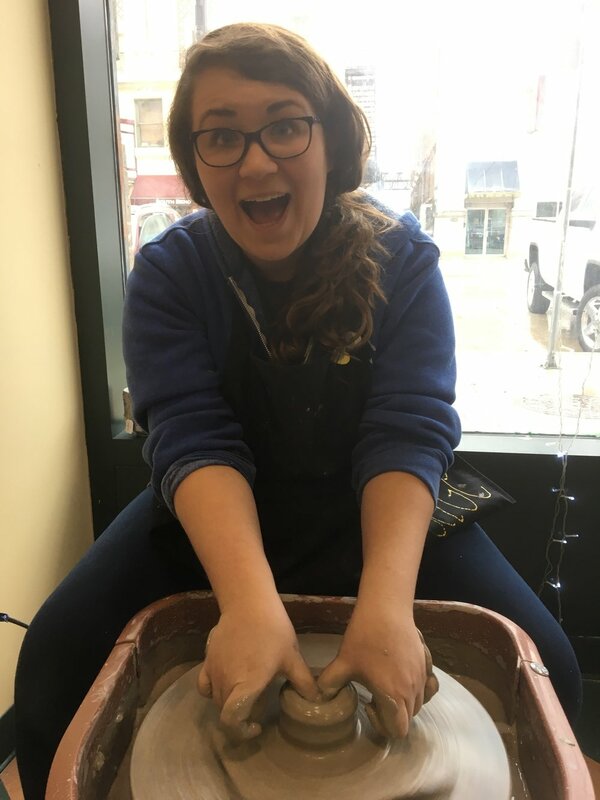 March, 7,14, 28 :$50 per person /per class: You've asked for it so here it is... Every Thursday in the month of February, learn the basics on the potters wheel. 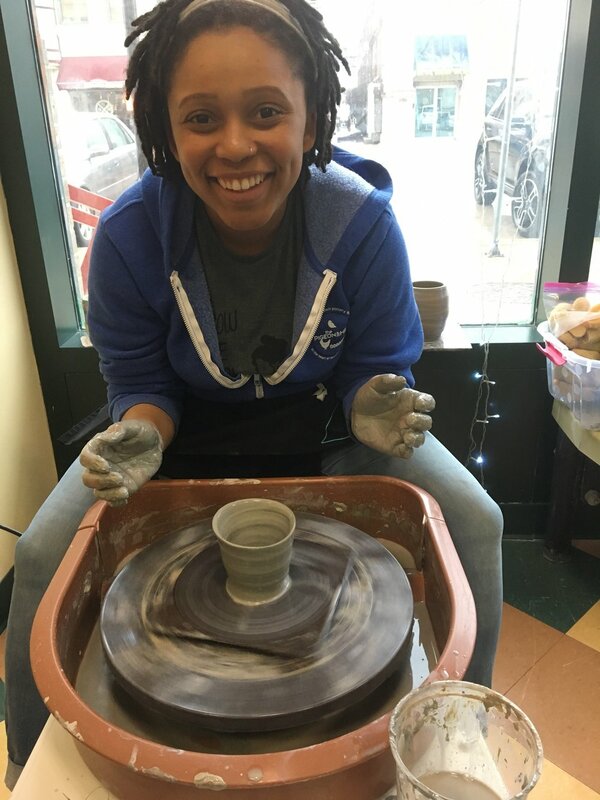 Create a beautiful ceramic bowl or fancy mug. Watch our Potterista's step by step instructions in our demonstration area. Appropriate for ages 12 and up. No experience is necessary The demo is about 15 minutes, which means you really have to be on time. :) Click the Event Calendar to sign up for the next session. Pottery will be ready in 2-3 weeks. Due to limited space, only 4 people per class.Projects will be ready to pick up after drying and firing in 3 weeks.